Open Source is the Future of the computer science world! On Wednesday, the popular coding website GitHub shared a graph that gives a closer look at the popularity of different programming languages used on its code sharing website that lets anyone edit, store, and collaborate on software code. 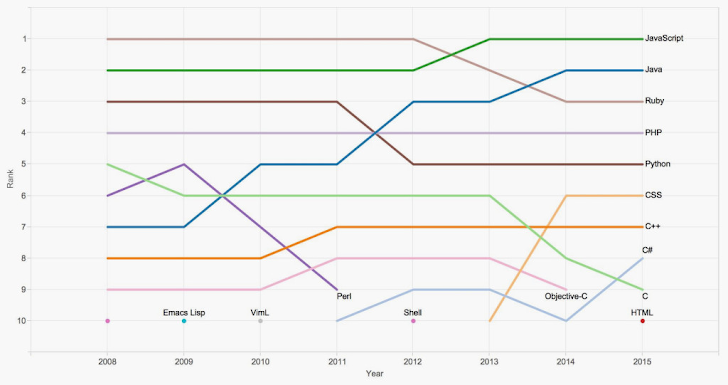 Since its launch in 2008, GitHub saw various programming languages picking up momentum, as shown in the graph below. GitHub is a web-based repository that operates on the functionality of a 'Git,' which is strictly a command-line tool. With 10 Million users as of today, the platform has become the primary source of housing open source software that is free of cost available to the world at large. A look at the picture of programming trends on GitHub over recent years is actually a look at how the computer world is evolving. However, GitHub's data shows that Java grew more than any other programming language since 2008 and is being as a forefront of languages used to build open source software. Java's rise is also due to growing Android popularity, as Google made Java the primary language for developing applications on Android smart devices. 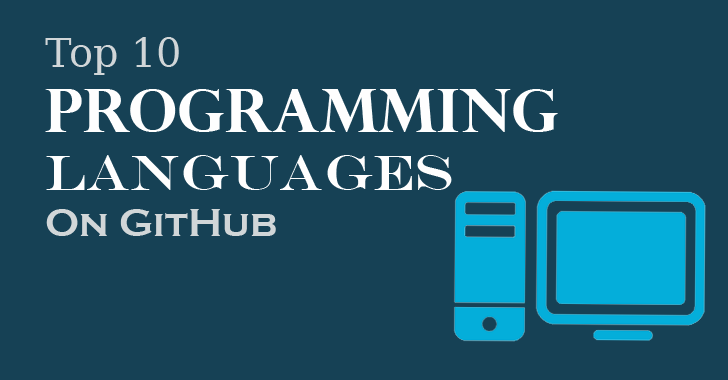 Java is followed by Ruby, PHP, Python, and C#. The rank is calculated by a GitHub project called Linguist, which listed languages by their adoption in public and private repositories, excluding forks. However, these are the list of popular languages represented by GitHub; What, according to you, should be the most popular programming language? Let us know in the comments below.